I started my new Fit Minded Book Club tonight. 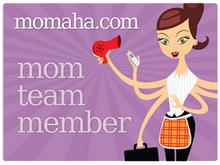 I am so excited to really sink my teeth in and had to go back and reread a blog I did for Momaha.com (read here). I wanted to see what I had hoped to gain when I was invited to join FMBC and to see if after my first meeting I still felt that my objectives were attainable. Tonight was mostly business…. discussing the syllabus (yes there is one for all you type A’s), books, goals of the club, why we were there, who we are and so on. Dr. Huberty, the facilitator and my friend, has done an amazing amount of research on women and their physical activity patterns but she’s not your typical “academic.” She has a knack for connecting with women and for understanding the barriers that keep us from being our very best. I feel like I’m on the verge of some major understanding of myself, my preconceptions and my hard wiring… hard wiring that has kept me from being my best for a long time. I’m very excited about this journey and hope that I can maintain my enthusiasm over the next 8 months that the book club takes place.